Welcome to today's edition of Nerd Alert, where we have all the quirky, nerdy news that you crave in one convenient spot. What do we have in store for you on this wonderful Wednesday? A Quorra user has determined the cost of saving Matt Damon's characters in several movies, Die Hard gets the Honest Trailer treatment and the Millennium Falcon is recreated in LEGOs. But wait, there's more! The Captain America: Civil War trailer gets recreated with LEGOs and learn the fictional and humorous history of Star Wars: The Force Awakens character Captain Phasma. Sit back, relax and check out all that today's Nerd Alert has to offer. 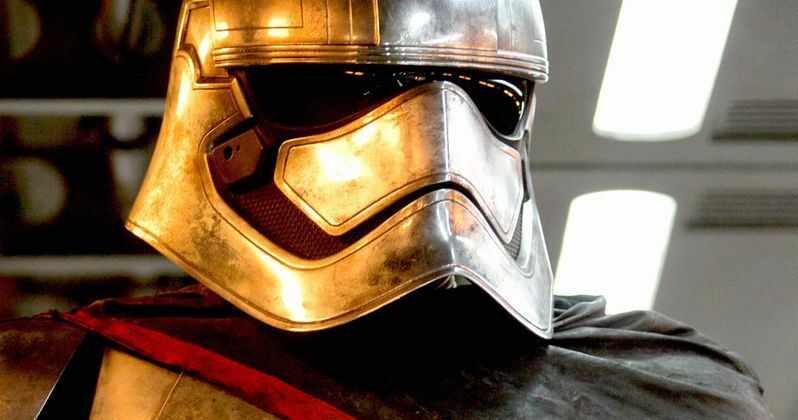 One of the several new characters introduced in Star Wars: The Force Awakens was Captain Phasma, a First Order Stormtrooper who was in command of Finn (John Boyega) before he went rogue. Gwendoline Christie portrayed this nefarious character, but before the actress journeyed to a galaxy far, far away, she was best known for playing Brienne of Tarth in HBO's hit series Game of Thrones. Youtube user levellord has decided to merge both worlds, offering a fictional explanation of how Phasma first got a hold of her unique chrome-plated armor, through a scene from Season 4 of Game of Thrones. Screen Junkies is closing out their year of honest trailers by revisiting the 1988 classic that spawned an action franchise, Die Hard. This four-minute video is more of an homage to this action classic than your garden variety Honest Trailer, with the narrator stating early on that they aren't "sh---ing" on a movie so beloved that John McClane's tank top is actually in the Smithsonian. Still, there are a few aspects of the movie that they harp on, like the "vaguely European" villains, but this Honest Trailer will actually make you want to watch Die Hard again, which isn't usually the case with most of their work. How Much did It cost to "Save" Matt Damon? You may have noticed a longtime trend in Matt Damon movies, that his characters often need to be "saved" from something. After a question was posted on Quorra, asking how much it may have cost for all of these rescue missions, Kynan Eng has come up with an approximate cost for these missions in Courage Under Fire, Saving Private Ryan, Titan A.E., Syriana, Green Zone, Elysium, Interstellar and this year's blockbuster The Martian. The results are staggering, with an estimated cost of over $900 billion, which is 0.1% of the budgets of all these movies combined. It's been over a month since the first trailer for Captain America: Civil War arrived, and we aren't quite sure when the next batch of footage will be unveiled. To help fans pass the time, Youtuber JimA73 has taken it upon himself to recreate the beloved first trailer entirely out of LEGOs. We're not sure how long it took JimA73 to animate this fan-made trailer, but it certainly is impressive. 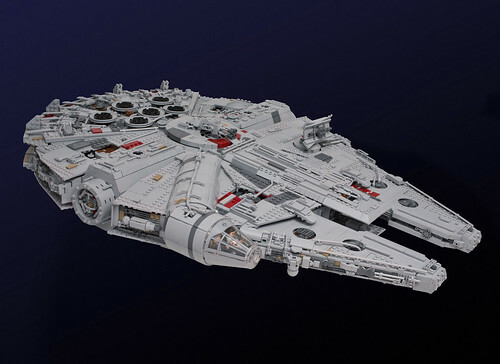 Star Wars fans are certainly a devoted group, but not every die-hard fan would devote a year of his life to an enormous LEGO creation. 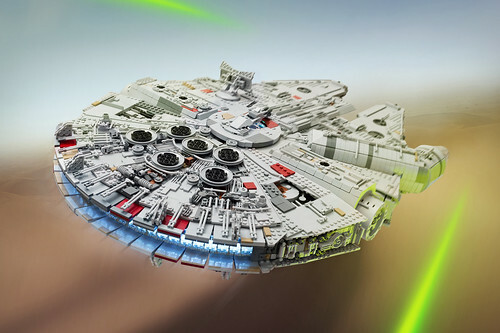 That's exactly what Flickr user Marshal Banana did, painstakingly recreating the iconic Millennium Falcon, using over 7,500 LEGO bricks. The completed ship weighs 22 pounds and measures 32 inches long by 21 inches wide and 7 inches deep. You can visit Marshal Banana's Flickr page for more detailed photos. While Screen Junkies has the movie version of Honest Trailers locked down, you may or may not know that Smosh has their own Honest Trailer series for video games. This week, Smosh and the narrator Jon Bailey (who narrates the Screen Junkies Honest Trailers) delve into the new game Star Wars Battlefront, which pokes fun at the game's lack of a single-player campaign, the bizarre lightsaber battles and much more. Man at Arms Reforged has delved into the video game world once again, bringing an iconic gaming weapon to life. For this week's installment, these forgers have focused on Kitana's War Fans from the beloved Mortal Kombat X. This nine-minute video shows how these experts bring an incredibly complex weapon from the video game into real life.